M-1’s 93rd offering in its Challenge series is a stacked event. Former UFC fighter Chris Kelades and former Bellator champion Alexander Shlemenko are among the featured fighters in the lineup. 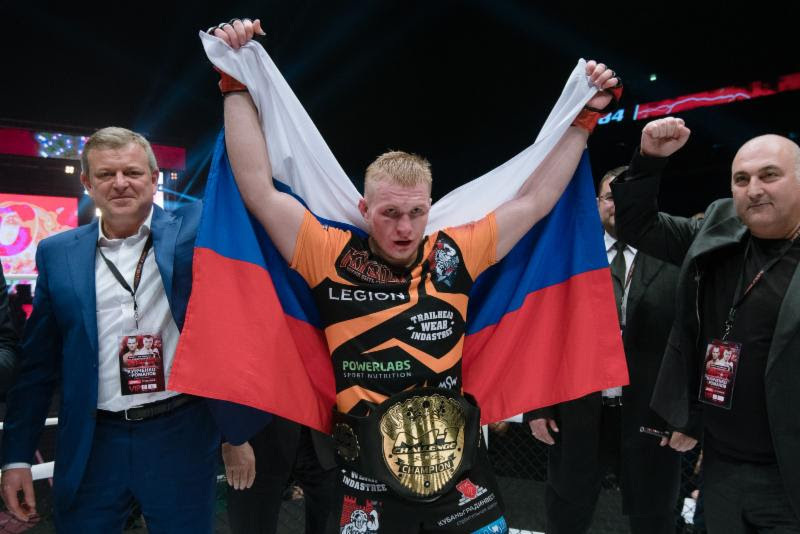 Shlemenko’s contest against Bruno Silva takes top billing, but the co-headlining middleweight title tilt between champion Artem Frolov and veteran challenger Joe Riggs is arguably the most intriguing fight at this event. The 26-year-old Frolov remains undefeated through 10 professional outings. He made his debut in 2014 and picked up two submission wins prior to entering the M-1 ranks. He’s been a regular in M-1 ever since, with only one of his last eight fights taking place outside of the promotion. After scoring stoppages in his first six contests, Frolov finally went the distance against Rafael Xavier in a 2016 outing. His next fight came against UFC veteran Luigi Fioravanti, whom Frolov finished via strikes in just over two minutes. After adding another quick stoppage win at M-1 Challenge 77, Frolov was rewarded with a title berth against UFC veteran Caio Magalhães. The Legion Fight Team export took a decision against Magalhães to claim the throne. Overall, Frolov has three knockouts and five submission victories. Riggs is a familiar name to most MMA fans. It’s hard to believe the grizzled veteran is only 35 years old, but that’s probably because he’s been fighting since 2001 and now has 67 outings, including one no-contest, under his belt. Riggs was a regular on the regional circuit in his early career. He even picked up a win over famous referee Herb Dean in a 2003 Rage in the Cage fight. He made his Octagon debut in 2004 with a win over Joe Doerksen, but three of his next four fights came outside the UFC. He finally became a regular inside the Octagon at UFC 55. He went 3-3 during that six-fight stint, and his victims included Chris Lytle and Nick Diaz. After departing from the UFC, Riggs had many ups and downs over the next seven years. He made stops in Strikeforce and Bellator, but never climbed above the mid-card level. He returned to the UFC in 2014 for another four fights, but he only landed one victory, which came via disqualification. Riggs has been on a roll ever since, however, to the tune of seven victories and a draw. Along the way, he topped UFC veterans Cody McKenzie and Shonie Carter while recording stoppages in all of his victories. Riggs is a real puzzle. He’s far younger than anyone would guess, but he’s put a lot of miles on his body over the course of roughly 17 years in the sport. He has managed a 2-0-1 mark under the M-1 banner, and his recent seven-fight winning streak only goes to strengthen his case as a challenger to Frolov. Riggs can never be counted out in a fight. He’s capable of beating the likes of the aforementioned Diaz and Lytle, as well as Kendall Grove, on any given night. Yet, he’s also prone to lose to far less heralded fighters like Cory Devela, Alex Stiebling and Travis Fulton. While Riggs’ chances of winning are as good as a roll of the dice, Frolov has demonstrated consistency throughout his career. The Russian champ brings a combat-sambo background to the ring and holds a proficiency in finishing fights regardless of where they take place. While his early career features wins over mediocre competition, he’s stepped up to face the likes of the formerly undefeated Ayub Gimbatov, prospects Kristijan Perak, the aforementioned Xavier and Talekh Nadzhafadze, as well as UFC vets Fioravanti and Magalhães. Riggs is only a slight step up from the latter two men on that list. “Diesel” Riggs has only seen the scorecards on eight occasions, which is pretty remarkable. He, too, can stop a fight anywhere it goes, but he also has suffered eight knockouts and six submission defeats. His recent run has been comprised primarily of underwhelming opponents. Frolov may not be a UFC fighter — yet, at least — but he does represent a significant jump up for Riggs. It’s probably more than the UFC veteran can handle. Frolov will test the chin of Riggs, and that chin will fail the veteran competitor. 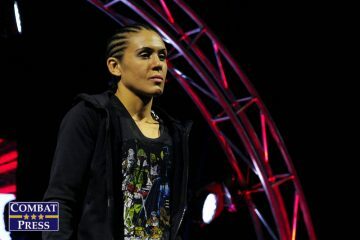 The Legacy Fighting Alliance has found its groove lately with strong cards that deliver heavily on up-and-coming talent. The company’s 41st venture is another great example of this trend. The headliner puts a spotlight on Thiago Moisés, while the remaining card highlights the potential of more experienced prospects like Nate Jennerman and Ben Neumann, plus newer arrivals on the professional scene like Tim Hiley and Calyn Hull. Then there are Killys Mota and Bobby Lee. These two lightweights square off in one of the featured bouts of the evening. The 27-year-old Mota has spent the majority of his career competing as a lightweight, but he has also dipped down to the featherweight division for at least one fight. The King Shark MMA product turned pro in 2013 and won four of his first five fights via strikes. The other contest in that stretch ended in a submission win for Mota. He’s tacked on two more submissions and one additional knockout over his five most recent affairs. Mota, who appeared on Imortal FC’s inaugural card and has also competed under the Aspera FC banner, has faced varying levels of competition. His most notable opponents have been João Carvalho, whom Mota decisioned, and Japanese star Akihiro Gono, whom Mota dispatched via a third-round knockout. 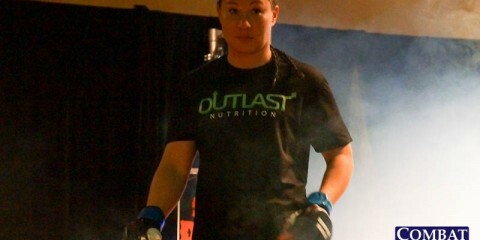 Lee, 22, has become a familiar face in the LFA and its predecessor, the Resurrection Fighting Alliance. Before he headed to the pro ranks, Lee recorded a perfect mark through five amateur outings. He submitted all but one of his opponents at the ammy level. The Start BJJ Academy fighter made his professional debut in late 2015 under the RFA banner. He notched a submission win and then added another submission in his sophomore appearance, which remains his only fight outside of the RFA/LFA cage. Over his next three bouts, he handed out career-first losses to three opponents. Lee made his LFA debut at the promotion’s second event and added another submission victory to his resume. He suffered his first loss when he dropped a decision to LFA 41 headliner Jeff Peterson. The youngster rebounded nicely to the tune of decision victories over Bellator veteran Ashkan Morvari and the formerly undefeated Nick Ammerman. The young Lee has a ton of potential. He has a wrestling base and a solid submission game. He’s been able to hand out plenty of losses to fellow up-and-coming hopefuls, but he lacks a true big win of his own. The loss to Peterson is a major setback, and it’s one that likely put Lee in the co-headliner rather than opposite Moisés in the main event. Lee needs to prove he can move up to the next level of competition and still emerge with his hand raised. He has the opportunity to do so against Mota. Mota has already taken his own step up and offered proof that he’s a legitimate prospect. His victories over Carvalho and Gono should certainly turn heads. Mota is capable of threatening on the ground or finishing opponents on the feet. Mota does have several obstacles standing in the way of victory. He’s fighting on U.S. soil for the first time, which could factor into his performance. Furthermore, he’s fighting an opponent with a strong wrestling game. Fighters from outside of North America can sometimes struggle to successfully defend against takedowns. Despite those outside factors, Mota appears to be the favorite in this fight. Lee has a lot left to prove, and a grinding decision over the Brazilian would go a long way for the young fighter. However, this is more likely to be another learning opportunity for Lee. Mota should use his striking arsenal to put away Lee. The Nemesis Fighting Championship promotion is set for its inaugural event, and the lineup isn’t too shabby. 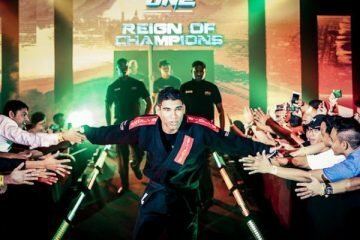 The company managed to round up a number of Brazilian prospects and even a couple of veterans, but the real gem is the welterweight headliner between Márcio Santos and Rene Pessoa. Santos has been fighting professionally since 2009. The 29-year-old only fought once per year through his first three years in the sport, but all three fights ended in victory. “Pedra” maintained his spotty level of activity for another few years while adding two more victories and one loss to his resume. He finally picked up the pace in 2015. 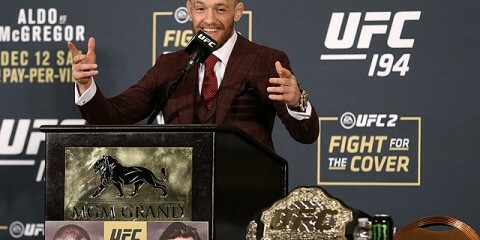 He’s gone 8-1 since then while fighting at least twice a year and as many as four times in a single year. In addition to a regional title win, Santos has tallied victories over such notables as Bellator veteran Luis Melo and UFC castoff Guilherme Vasconcelos. In addition, he participated in the UFC’s second edition of The Ultimate Fighter: Brazil, where he submitted Daniel Oliveira in his first fight on the show and then was knocked out by Santiago Ponzinibbio. He suffered his only official losses to Danilo Pereira and Beslan Ushukov. Santos has nine submission victories. Pessoa has struggled to find the same level of consistency as his counterpart. “Soldado” debuted in 2011 and won his first five fights. He faced his first setback when he was knocked out by current UFC fighter Markus Perez. The 29-year-old regrouped and won another four straight, all via submission. He then suffered back-to-back stoppage losses to low-level prospects under the Jungle Fight banner. Again, the Power Lotus Team disciple righted the ship to pick up two first-round finishes. 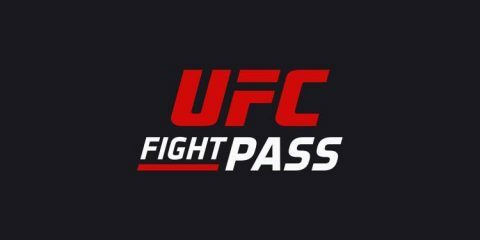 The success was cut short, however, by a loss to current Titan Fighting Championship welterweight kingpin Jose Caceres in Pessoa’s first trip to America. “Soldado” returned home for four victories and a regional title win before shipping out to Russia and adding another victory to his record in February. Pessoa has collected 12 of his wins by way of submission. The one item that stands out on the stats sheet is the disparity in height between these two warriors. Santos checks in at 5-foot-8, whereas Pessoa is 6-foot-2. The size difference could come into play, and it’ll definitely favor “Soldado.” However, the real question is how the grappling exchanges will unfold. Santos has fought some stiff competition, but he was finished by Ponzinibbio and decisioned by Ushukov. Pessoa, too, has stumbled whenever he’s taken a step up. Against each other, though, the playing field should be more level. Santos has been knocked out, but, according to fighter databases, he has never been submitted. Pessoa cannot say the same. Both Caceres and 4-1 fighter Jose Diaz were able to lock in a submission for the finish against “Soldado.” This fight is likely to go to the ground, where Santos is likely to outperform his opponent and coax a tapout.